THINK: Experience shaving with style with the choice of Italy’s expert barbers since 1948. WHAT IT IS: Formulations that have stood the test of time, now featuring new, customized blends to deliver a clean shave for every type of beard and skin type. From the verdant hills and lush landscape of Tuscany comes a prestige shave experience. 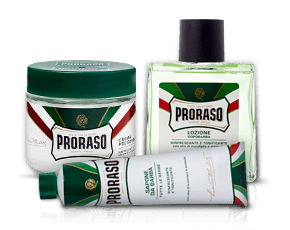 For decades, Italians have identified luxurious shaving with Proraso, the Real Italian Shave. The go-to choice of the finest Italian barbers since 1948, Proraso prides itself on its traditional hot soap processing methods that produce superior quality shaving creams, soaps and after shave lotions. Dedicated to making the ritual of shaving an entirely pleasurable, sophisticated experience, Proraso’s new, expertly-crafted formulas are housed in packaging that pays homage to its rich history and well-established professional credibility. Featuring red, green and white diagonal stripes that evoke the timeless imagery of a barber’s pole, as well as a regal lion – an icon inspired by the heraldic lion symbolizing the Florentine republic – accompanied by a razor, Proraso products embody the refined, majestic appeal of the brand’s vibrant Italian heritage. Inspired by the long-standing success of its very first formulation, the Pre-Shave Cream, Proraso has created new collections for every skin type and any beard thickness. 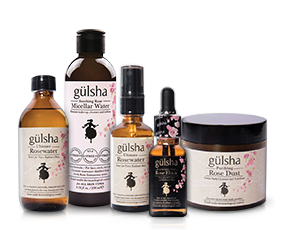 These paraben-free formulas contain natural ingredients that have been allowed to mature over time, yielding more concentrated, rich and creamy results. 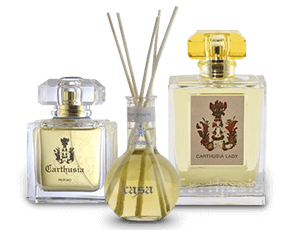 The Proraso collection is comprised of three newly-launched lines – Refresh, Sensitive and Nourish. Refresh: Suitable for normal skin and every beard type, this classic formula is developed with eucalyptus oil to tone and purify skin and menthol to refresh and revitalize. An energizing product range, the Refresh collection softens bristles, prepping them for a perfect shave, and has a classic, minty fragrance. Sensitive: Developed for those with sensitive skin, this nourishing formula protects skin, helping the razor easily slide over skin’s surface smoothly to prevent irritation, nicks or cuts. Enriched with green tea, a natural antioxidant, and soothing oatmeal, which moisturizes skin, the Sensitive collection features a fresh, vibrant scent with hints of lime and apple. Nourish: Ideal for those with dry skin and thick, coarse beards, this formula contains calming sandalwood oil, which has powerful anti-inflammatory benefits, as well as shea butter to keep skin soft and supple. Exuding a spicy fragrance with aromatic notes of sandalwood, the Nourish line rejuvenates and nourishes even the driest, most parched skin. Pre-Shave Cream: The thick, concentrated texture of this luxurious cream helps soften stubble and make skin more elastic to guarantee a problem-free shave. 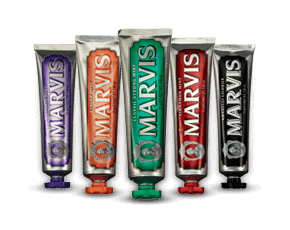 Shave Cream Tube: Formulated with glycerin, this shave cream facilitates a smooth glide to prevent razor burn or rashes. Shaving Soap Jar: This soap is left to mature for 10 days in small batches to create highly concentrated results, before being poured into a bowl. Must be applied using a brush. Shave Foam: A rich, dense formula, this formula is perfect for a quick, flawless shave. After Shave Lotion: Enriched with witch hazel to minimize rash formation and razor burn, as well as nourishing vitamin E to rejuvenate skin, this luxe lotion combines the skin-protecting benefits of a balm with the superior moisturizing results of a cream.